Arroyo Process Equipment is the fluid processing supplier you can count on for replacement pump parts for an air pump repair, regular equipment maintenance services, and more. As the leading supplier of fluid processing equipment in the industry, we provide our customers with the top quality pump parts they need to keep their processing facilities running smoothly and efficiently. In addition to genuine manufacturer parts, we inventory the complete line of Phantom Pumps parts, which are interchangeable and compatible with many of the centrifugal pump models manufactured by Gorman-Rupp, Warman, ESCO Pumps and others. These compatible pump parts are always manufactured to meet or exceed the highest industry standards. These pumps and parts typically provide performance that is better than other leading brands. Substituting Phantom Pumps parts on air pump repair and maintenance services can lower pump-related costs at your processing facilities. Our inventory also includes replacement parts and accessories for the other exceptional fluid processing equipment that we distribute such as filtration equipment, motors, mixers, drives, gearboxes and more. We always encourage customers throughout Jamaica, Trinidad, the Virgin Islands and nearby countries to take advantage of the knowledge and expertise the parts specialists have to offer. Arroyo Process Equipment parts departments can be found in Florida and the Dominican Republic. 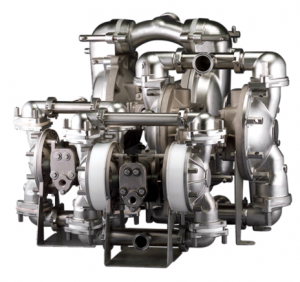 Our specialists can identify the correct pump parts you need or cross-reference brand name pump parts with compatible Phantom Pumps parts for your centrifugal, positive displacement or air pump repair. We quickly process and ship parts to keep any pump downtime to a minimum. Contact us today for replacement part assistance or to place an order.